Is Jack Dorsey a Thargoid in disguise? WTF?! Twitter has long been accused of not addressing the toxicity and harassment that’s prevalent on the platform, but it seems that one sure way of getting banned is to make threats against an alien race from Elite Dangerous. I will come to kill you." 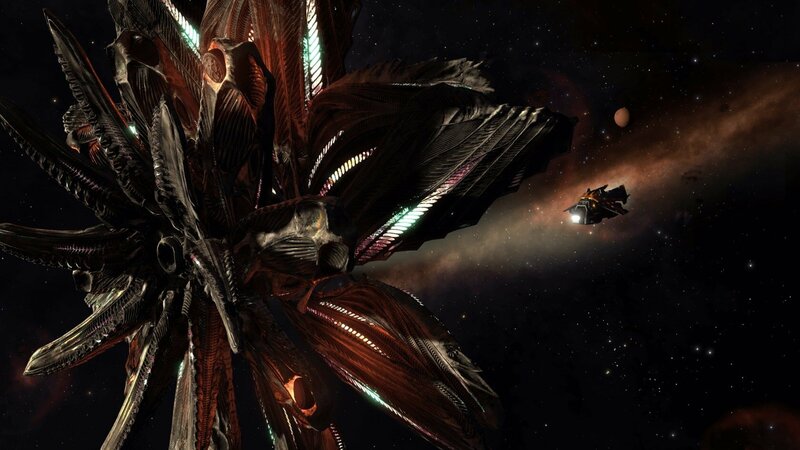 The incident took place on October 4—national poetry day—and while anyone can see Wellens was directing his threat at the fictional Thargoids, Twitter felt it warranted a suspension. The company said he breached the rules that say users “may not make specific threats of violence or wish for the physical harm, death or disease of an individual or group of people”—or aliens, it seems. "I explained that Elite is a space game and that thargoids are a fictional alien species in a game, and that I never ever threatened a real person or organisation on Twitter," Wellens told Eurogamer. "Thargoid or foe, I'm coming to kill you, was directed to the thargoids and enemies in game. In the beginning I was very angry as I follow a lot of friends who I've known for a long time." Wellens, who has been active on Twitter for eight years and gathered 4500 followers, appealed the ruling without any success. Eurogamer writes that he has since re-appealed but his account remains suspended. Please help support a fellow CMDR! @Twitter banned our Tim Wellens, a kind and very active member of the @Xbox @EliteDangerous community as a direct result of #NationalPoetryDay. It seems Wellens is another person to fall victim to Twitter’s over-eager algorithms that seek out certain words and phrases; “I will come to kill you” can definitely seem threatening when taken out of context, but it appears that even his appeals process is being handled by a bot. "What hurts me the most however is the fact that I feel I'm judged by a computer, and I have no means to defend myself. It's like fighting an A.I. I understand they have to use software to root out ugly tweets, but I was hoping a human being would do the investigation. It would have only taken them five seconds to see that my tweet was completely harmless - and I have seen much more violent tweets than mine,” added Wellens. Here's hoping that Twitter eventually realizes it overreacted and reinstates Wellens’ account. In the meantime, be careful which fictional characters/race/beasts you publicly threaten with death.